The Koreasat 3 satellite is configured to provide both fixed and direct broadcast services. Korea Telecom's new A2100A has 24 Ku-Band (Fixed Satellite Service), six Ku-Band (Direct Broadcast Service), and three Ka-Band transponders. It also features a steerable antenna providing an improved coverage capability. The spacecraft will be positioned at 116 degrees east. 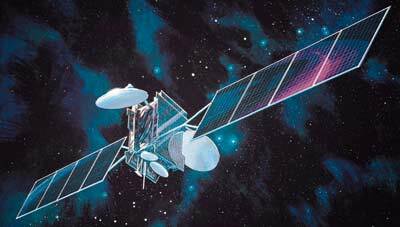 Korea Telecom is Korea's foremost telecommunications company and is responsible for operating the Koreasat system. The company is dedicated to developing new technologies to keep pace with Korea's high growth economy. Koreasat-3 was manufactured with the participation of a Korean team which includes: Daewoo Heavy Industries, Doowon, Electronics and Telecommunications Research Institute, Halla Engineering and Heavy Industries, Hyundai Electronics Industries, Korea Aerospace Research Institute, and Korean Air. The Koreasat-3 program marks the continuation of a long-term relationship between Korea Telecom and Lockheed Martin, which began with Koreasat-1 and 2. In addition to providing the satellite, the program also involved upgrading existing ground systems. In May 2010, the satellite was sold to Asia Broadcast Satellite and renamed ABS 7.